This was Jeremiah’s first car….boy, have we come a long way! 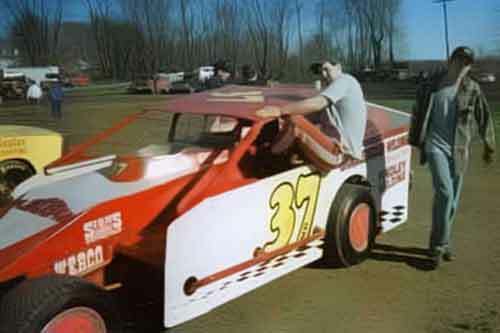 This car was a Troyer, but was so old that even Troyer couldn’t date it for us. Our best guess is this must be one of first ones ever built (late 1970’s – early 1980’s). Jeremiah & his dad bought the car from Larry Johns for $2500. Jeremiah was 17 years old. 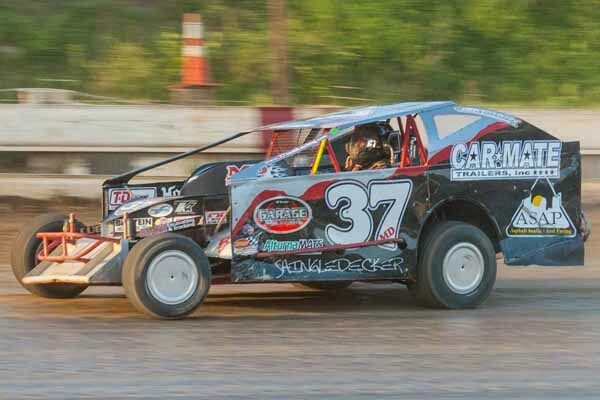 Jeremiah hauled this car to his high school graduation, because there was a race at Tri-City that day. 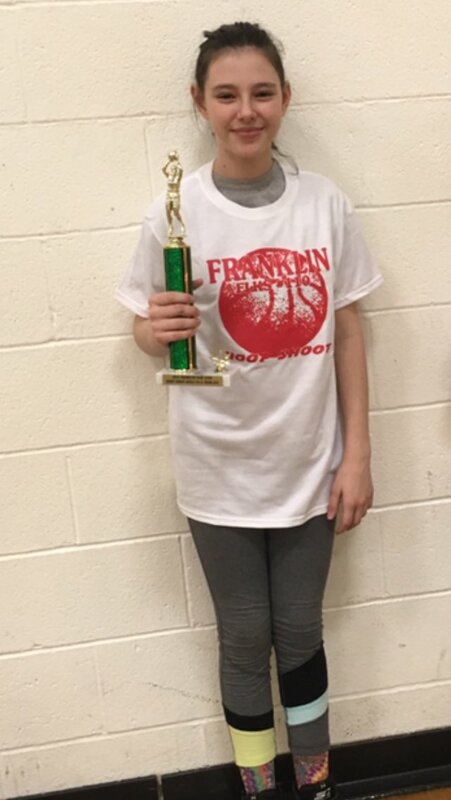 Jeremiah finished 8th in points that year. This was Jeremiah’s 2nd car (still racing small blocks @ Mercer). He & his dad bought the car from Cal & Ted Hull. 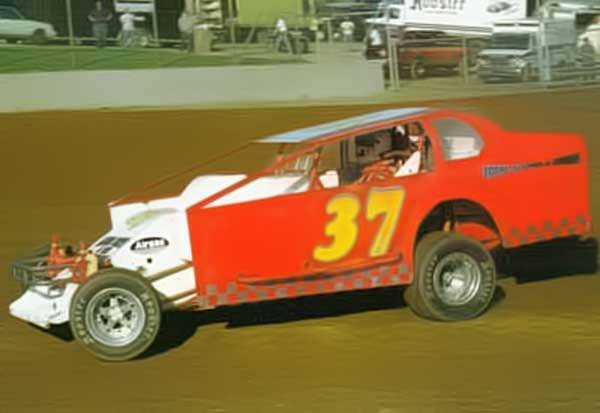 Jeremiah raced this car 1997 – 1999. 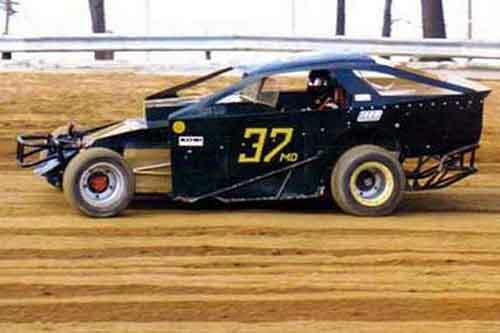 This car was a 1993 Troyer. Doug Hoffman (from New York) was the original owner. Jeff Hoffman (Franklin) bought it from Doug, and Ted bought it from Jeff. We sold this car to Mike Mathison. 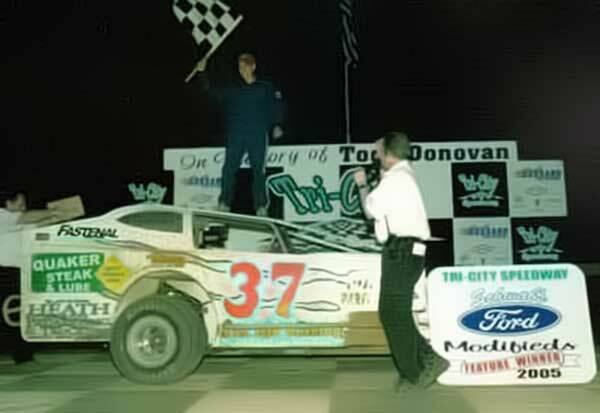 At the time we sold the car, it had well over 100 feature wins. At one point, Cal wanted the car back. 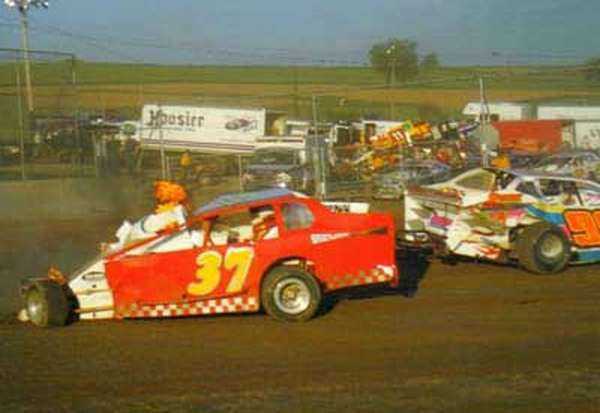 Jeremiah won his first ever feature in this car in 1998 (photo to follow). He also won a race in it in 1999. 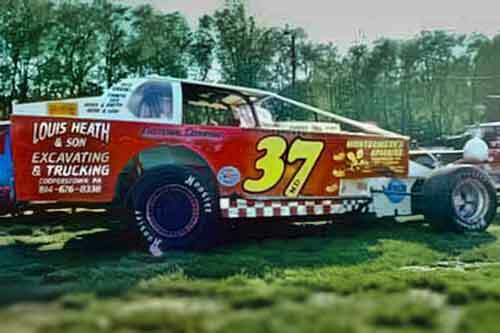 I believe Jeremiah finished in the top10 in points every year he raced this car. This photo shows Jeremiah (18 years old) and Travis (13 years old). 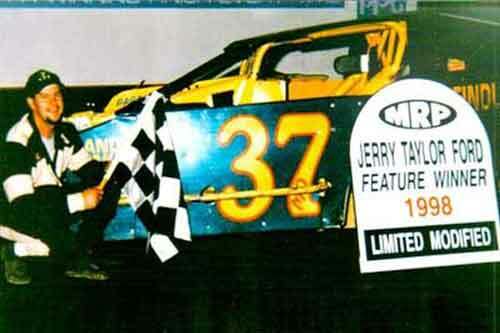 Jeremiah’s first ever win (1998 Mercer Raceway Park). 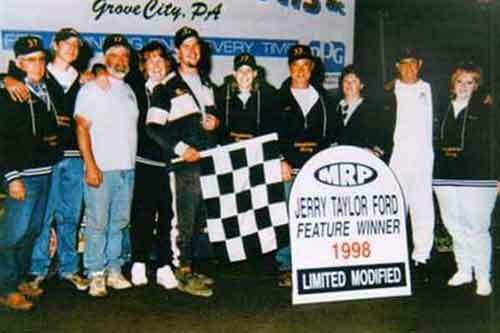 Shown in picture (from left to right): Al Shingledecker (Jeremiah’s grandpa)- Travis Shingledecker (brother)-Mike Shingledecker (father)-Patty Shingledecker (mother)-Jeremiah Shingledecker-Lex (Emrick) Shingledecker (girlfriend @ time, wife now)- Lew Clayton (uncle) – Beck Clayton (aunt)- Jimmie Wheeler (“grandad”)-Molly (Eager) Vincent. Jeremiah and Travis 1999. 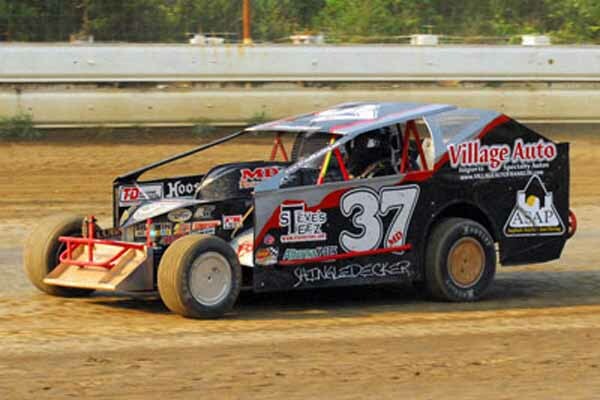 Small blocks @ Mercer Raceway Park. 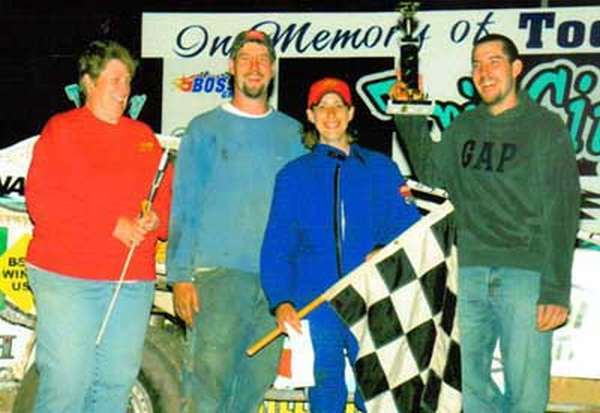 Jeremiah’s first big block (Mercer Raceway Park, 2000). We bought this car from Jeff Hoffman. 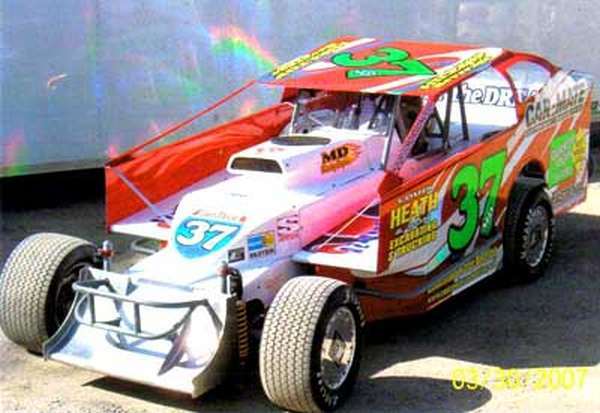 It was a 1997 Troyer that was updated to a 1999 4-Link. 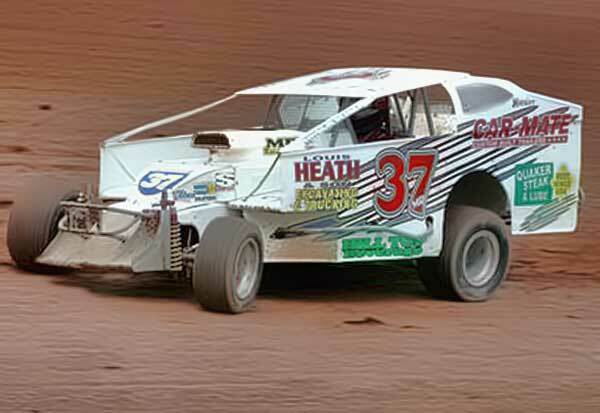 Jeremiah raced this car at Mercer and at Tri-City, but didn’t race for points. 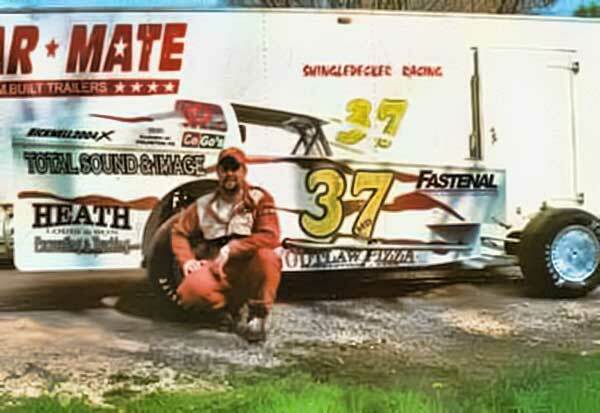 Jeremiah raced this car 2000-2003. He sold the car to his brother, Travis. 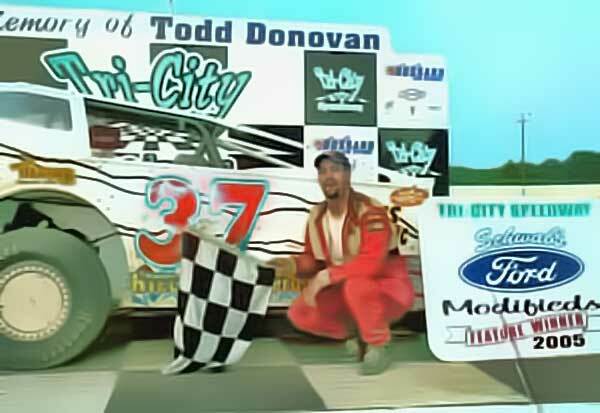 Although he no longer races it, Travis still owns this car. 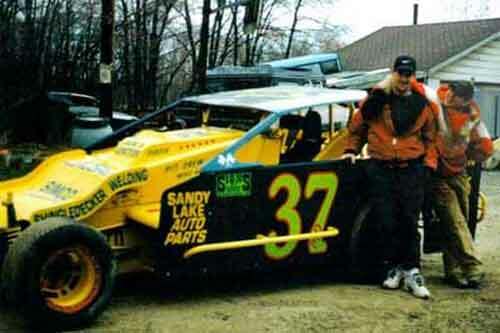 Jeremiah’s big block at Mercer in 2002. This picture was taken before he was involved in a bad wreck with Frank Guidace which resulted in Jeremiah being engulfed in flames. Good thing for fire suits! 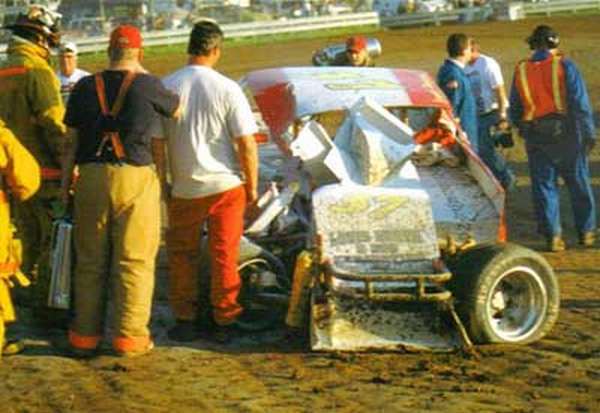 Jeremiah’s car on fire after collision with Frank Guidace (99) in 2002….OUCH! You can see Jeremiah’s disappointment from his body language. Although he was uninjured, he was sick about the wreck. 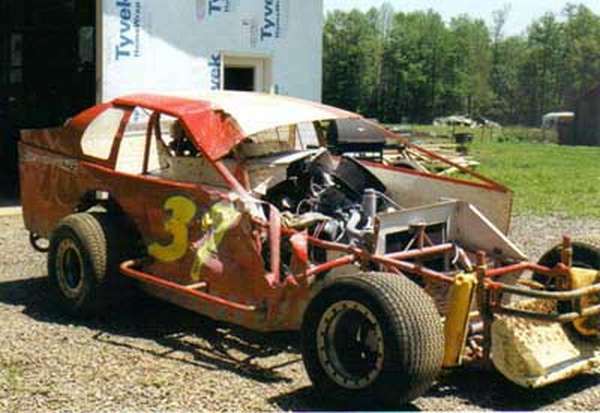 Damage sustained at Mercer Raceway Park in 2002. Jeremiah hit Frank Guidace, who was stopped, in turn 4. Jeremiah & his car ended up in flames. This is our most expensive fix to date. The car was basically ok, but the motor had heavy damage. In the photo, note the air cleaner…it is still attached to the carburetor which was ripped off. 2003 saw the addition of a 2nd big block to our team. Jeremiah bought a 2000x Bicknell from Josh Skarzenski. 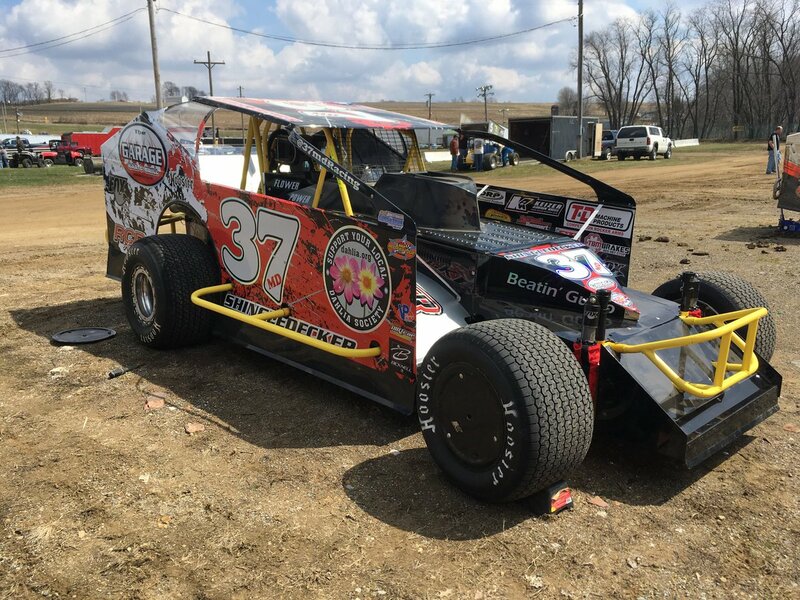 Travis bought Jeremiah’s 1999 Troyer. 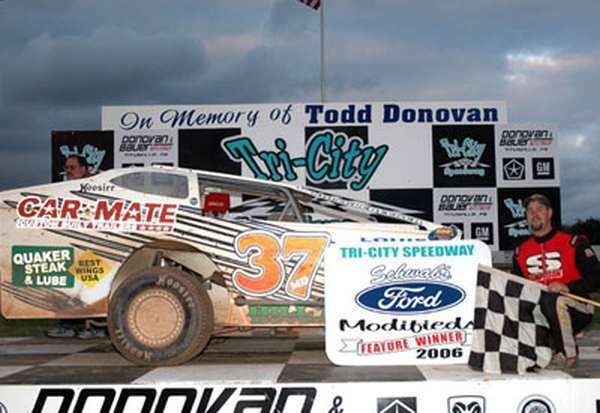 They both raced at Mercer and at Tri-City (on occassion). 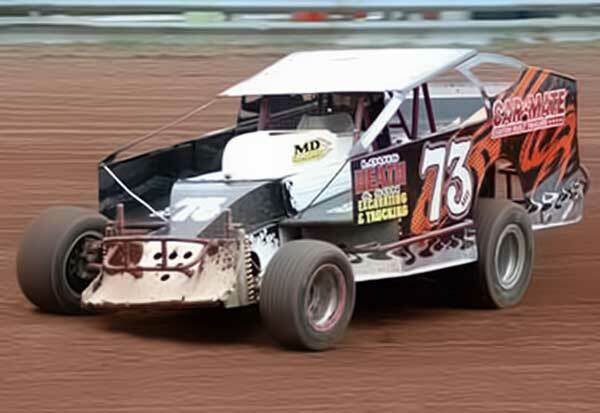 This is Jeremiah’s 2004 car – his first ever brand new chassis. This is also the year we bought a vinyl cutter & started doing our own stickers. This is Jeremiah’s favorite car (except for 2007). This photo is of Lex winning her first ever Powder Puff race (June 19, 2005). 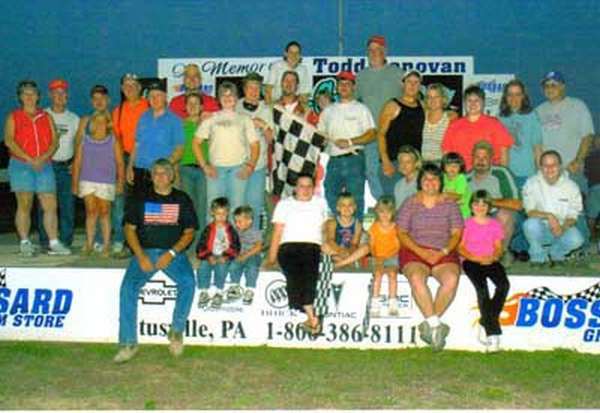 This win seemed to “get the ball rolling” as first ever wins followed by Travis (small block @ Mercer June 25, 2005) and Jeremiah (big block @ Tri-City June 26, 2005). Travis’s first ever win. 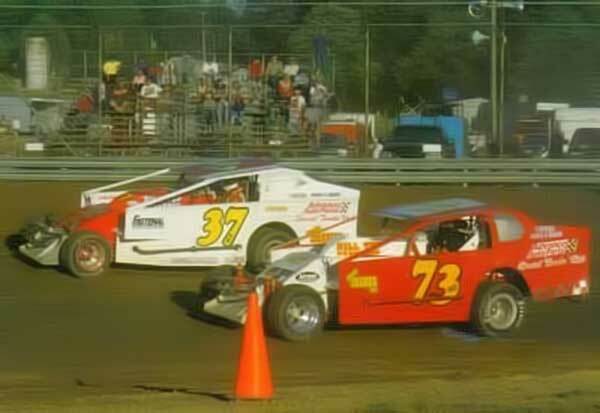 Mercer Raceway Park June 25, 2005. Shown from left to right: Mike Shingldecker-Patty Shingledecker-Travis Shingledecker-Mandy Hughes- Lex Shingledeckr – Al Shingledecker -Jeremiah Shingledecker. 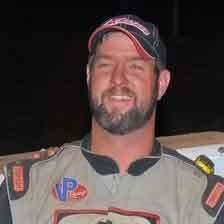 Jeremiah drove the #66 owned by Dave Cogswell on this night & finished 6th. Jeremiah couldn’t wait to climb out of the car to congratulate his brother! 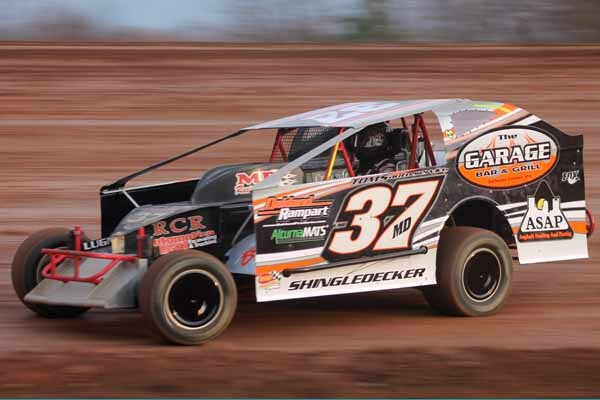 Jeremiah’s first ever big block win….FINALLY!!!! June 26, 2005. 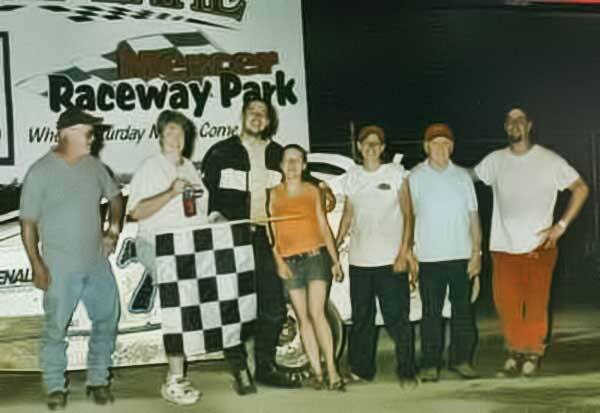 Jeremiah’s second win July 3, 2005. Not only was this Jeremiah’s 2nd big block win ever, it was 2 in a row! 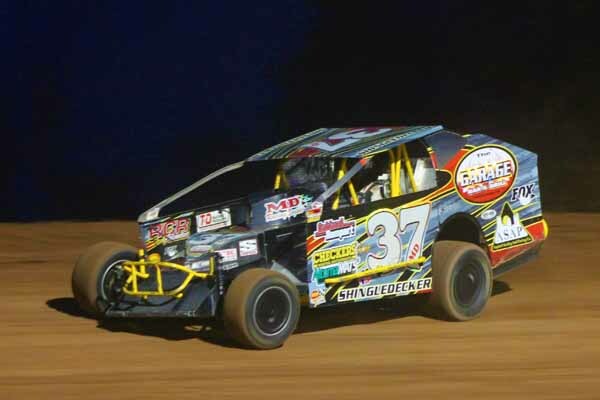 This was Jeremiah’s car for 2006. 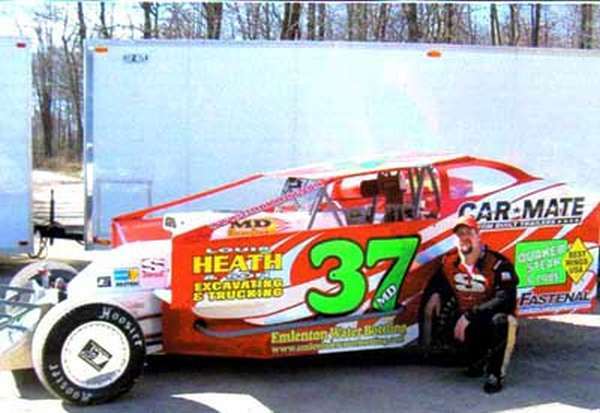 This was Travis’ car for 2006. Jeremiah ready to start the 2007 season. 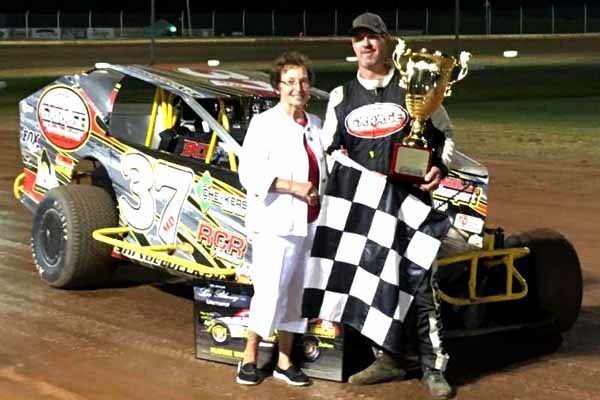 On July 8, 2017, Jeremiah won the prestigious Lou Blaney Memorial race at Sharon Speedway.